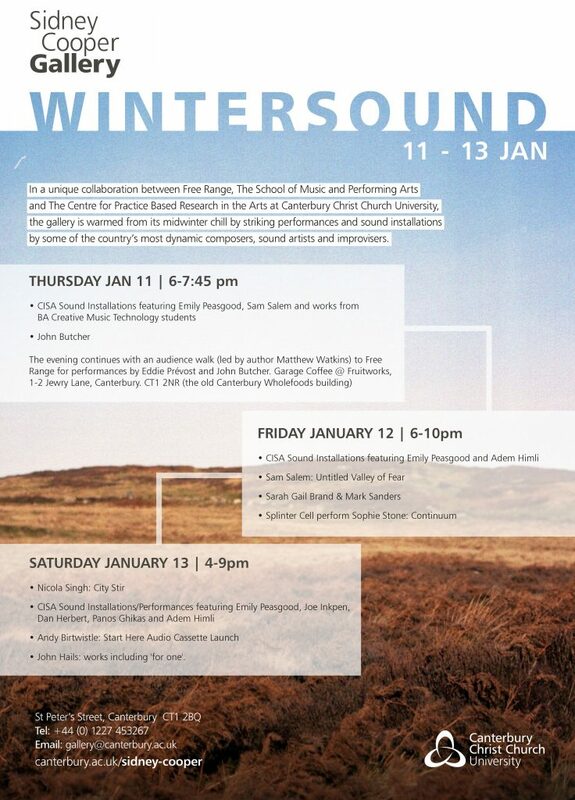 In January I am exhibiting at Wintersound at The Sidney Cooper Gallery – a collaboration between Free Range, The School of Music and Performing Arts and The Centre for Practice Based Research in the Arts at Canterbury Christ Church University. I will premiere a video of visitors interacting with Halfway to Heaven (2017) at Folkestone Triennial 2017. The video was created in collaboration with Clare Unsworth and Daniel Battersby.